Britain has been revealed as a nation of hidden business fleets, with one third of British drivers who drive as part of their job uninsured for business miles, according to research from telematics company Masternaut. On average, these drivers clock up 4,708 uninsured business miles per year while driving for work. In addition to uninsured business mileage, employees also revealed that they don’t have adequate driver training. More than two-thirds (70%) of those surveyed by Masternaut said that their employers do not provide any driver training to ensure they drive safely and efficiently, despite legislation being in place that obliges them to do so. Meanwhile, 40% of British drivers are unaware of such legislation so remain in the dark with their employers as to how to improve their on the job driving. A fifth of respondents (19%) said that they have had an accident while driving for work. When asked who would be liable for such an accident, 80% said it would be their responsibility, while 20% thought an accident would be their employer’s. Martin Hiscox, CEO and chairman of Masternaut, said: "Driving for work is recognised as one of the most dangerous occupations and these findings clearly demonstrate a vital need for employers to educate staff on safe driving practises. "There is a clear need for this to happen and the technology, the tool-kits for training, monitoring and improving driver behaviour all exist. "The insurance industry is spending £2.2bn in claims annually, processing over 792,000 claims for commercial fleet insurance. This is the tip of the iceberg when you consider on-costs, downtime and the cost to businesses that self-insure. "It raises a bigger issue for employers about not having visibility of their mobile workforce, so they can ensure they are safe and can put steps in place to spot problems and deal with them. Masternaut also claims UK businesses and fleet managers can increase safety among their workforce through the application of telematics. It says that the technology is proven to improve safety, lower insurance premiums, improve fuel economy and bring many other benefits. 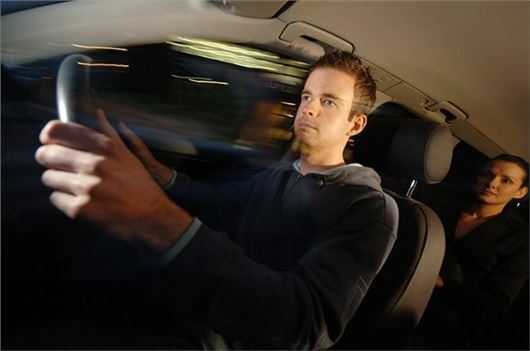 Masternaut Connect collates a wide range of information on vehicles and driver behaviour, giving businesses an in-depth look at how they can improve safety and driving behaviour amongst their workforce. The research results come from a survey of 2,000 UK employees that drive as part of their job – commissioned by Masternaut – to discover the true extent of Britain’s cloaked fleets.